The German Institute for Human Rights has criticised the repurposing of the EU’s fingerprint database, Eurodac, for registering asylum seekers. Tagesspiegel reports. Biometric information, to which the police will soon be given access, will be stored there for ten years, just because an individual has fled their country, activists have warned. The German Institute for Human Rights (DIMR) has come out strongly against the biometric registration of asylum seekers at Europe’s external borders. The new regulation on Eurodac, scheduled to take effect on 20 July, is a misuse of the EU database and allows for “considerable interference into fundamental rights”, said Eric Töpfer, a research associate at the institute. Eurodac is the electronic heart of the European asylum system. The database is meant to store fingerprints from all people who cross the border into a European country without permission – asylum seekers as well as irregular migrants. Giving national immigration and police authorities access to Eurodac, allowing them to upload their data and retrieve data entered in by other EU countries, the measure is intended to help EU countries implement the “Dublin” asylum regulation. According to the rules established by the EU 25 years ago in the Irish capital, the country responsible for processing an asylum procedure is the one where individuals first set foot on European soil. Data on so-called “illegals” was only stored in Eurodac for 2 years and will soon only be stored for 1.5 years. But information on asylum seekers remains in the database for 10 years. Eurodac was originally intended to prevent multiple asylum applications and unauthorised entry. Under the new Eurodac Regulation, however, access will no longer be restricted to immigration authorities, but will include police and public prosecutors, such as Europol. The new edition was already agreed in 2013 but required significant technical modifications, which is why it will launch next week. DIMR considers the intrusion, under the new regulation, upon the fundamental rights of refugees and other immigrants to be disproportionate. Its necessity has “not been substantiated – or only anecdotally so”, said Eric Töpfer. Only the Netherlands responded somewhat more precisely in an inquiry from the European Commission and named 134 cases in five years in which the comparison of traces at crime scenes with the national asylant database supplied results – of which about 30-40% were property offences. Because only migrants are recorded in this way, it gives the impression “that asylum seekers are more criminal than the rest of the population”, Töpfer pointed out. Storage in a database accessible to the police means they are treated like offenders or potential suspects, he said. The DIMR is calling for the regulation’s implementation to be monitored more intensively than planned, with checks by European parliaments and data protection watchdogs. Though the text would include considerable limits for police and prosecutors before they could access the Eurodac databases – for example, they are only allowed access to investigate serious crimes or terrorism and they are required to justify every access – but they monitor their own compliance. A special department will be created within the European police authority Europol, Töpfer said, indicating the same is likely for the Federal Criminal Police Office. For this reason, there should be “systematic controls of data paths” by an independent authority and they must be effective, Töpfer said. “So far, there is no supply chain. The authorities are only asked about their retrieval practices in written form,” he explained. The DIMR also considers the collection of data within Eurodac to be problematic from a human rights perspective. 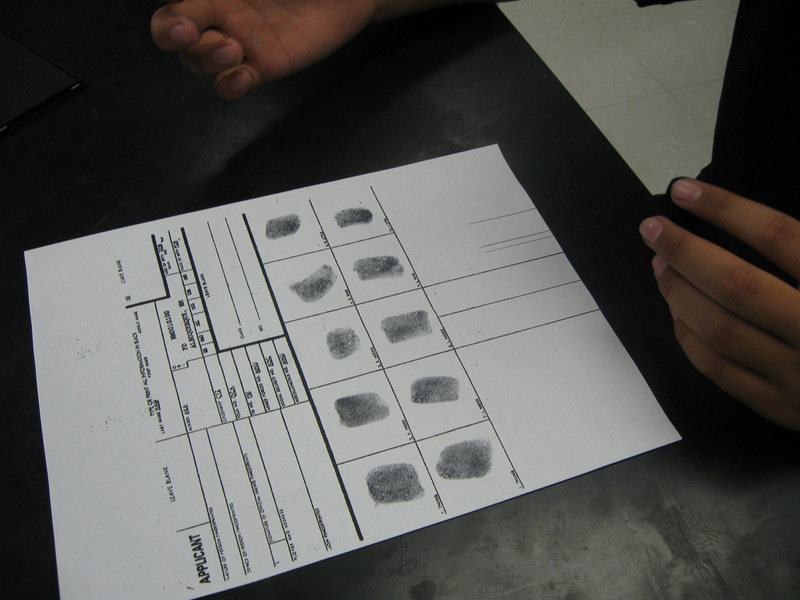 Whoever refuses to have their fingerprints taken can be violently forced to do so – it remains unclear how much violence can be used. And this applies to a particularly vulnerable group of people who are in a foreign place and are often exhausted, sick or traumatised by the long migration they have undertaken. According to Töpfer, the question remains: “How valid is such a Eurodac match?” Because the automatically transmitted data is not reviewed by an actual person in all EU member states involved, it has been mixed up before. The Justice and Home Affairs Council adopted a Regulation concerning the establishment of Eurodac, an EU-wide fingerprint database for asylum seekers and certain other categories of third country nationals, designed to combat illegal immigration. This Regulation still contains specific safeguards that data is not used for other purposes. On 30 May 2012, the Commission adopted a proposal concerning a recast of the Eurodac Regulation that also provides for access to Eurodac data by member states' law enforcement authorities and Europol for law enforcement purposes.